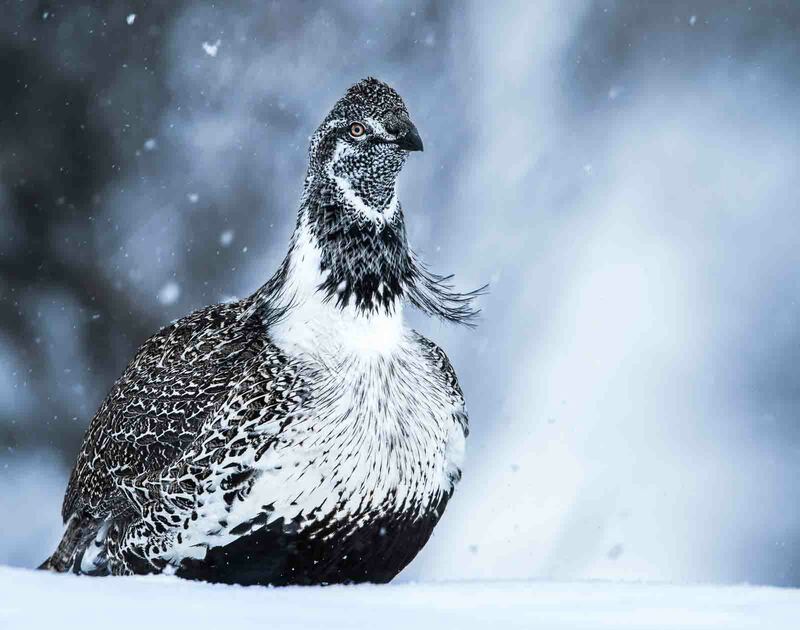 Sage grouse pauses a moment while foraging during a snow storm within the Grand Teton National Park. These hardy birds can withstand the brutal temperatures of the Wyoming winters while others must flee for the warmer south. Don't let there cuteness full you they are tough!